My skin is a huge fan of Hada Labo's Hydrating Care Range so I was incredibly excited to receive the Super Hyaluronic Acid Moisturizing UV Milk! The newest addition to the Hada Labo family is a multi-purpose milk that protects against UV, hydrates and acts as a makeup base! 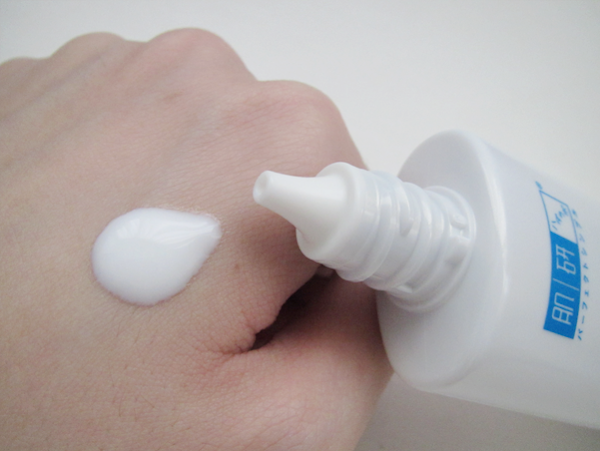 The opaque, white 38ml bottle is slim and handy and should fit nicely into most cosmetic pouches. The cap twists open to reveal a nozzle, from which the milk is poured out easily from. There is no direct contact with the rest of the milk which you do not need so thumbs up for hygiene! The milk comes out white, opaque and a little runny. Do give the bottle a good shake first before pouring the milk out! Just like the Hada Labo's Super Hyaluronic Acid Hydrating Lotion and Super Hyaluronic Acid Hydrating Milk, the Super Hyaluronic Acid Moisturizing UV Milk takes a while to sink comfortably into the skin. I pour a little of the milk on the back of my palm, apply a circle of 6 dots on my face (And one more dot on the tip of my nose.) and rub the milk in. I repeat the process until whatever that I have poured out is used up. I find that applying the milk 'in layers' help speed up the absorption process (Rather than just applying all that you pour out in one shot.). The milk leaves a slightly greasy layer once absorbed. I find that the milk is moisturizing enough for the day, so I usually give my moisturizer a miss lest the products 'weigh my skin down'. 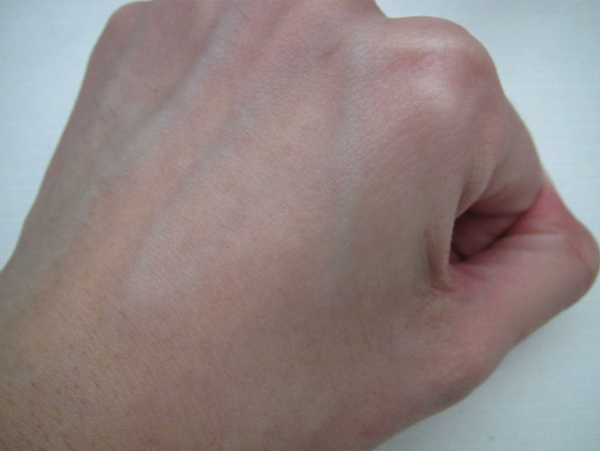 It feels really comfortable on my skin though in the middle of the day, I find that my T-zone area looks pretty shiny. Well, this didn't make any promises about controlling the oilies at bay! My dry cheeks, however, love the hydrating goodness that the milk so generously gives! The milk leaves no white cast too so here's another hurray! Hada Labo's Super Hyaluronic Acid Moisturizing UV Milk is a godsend for dry skin which seek for some solid protection from the sun! 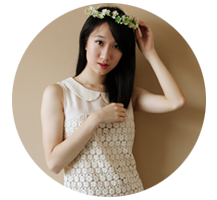 For those with oily and combination skin, you will definitely need to powder up and blot! 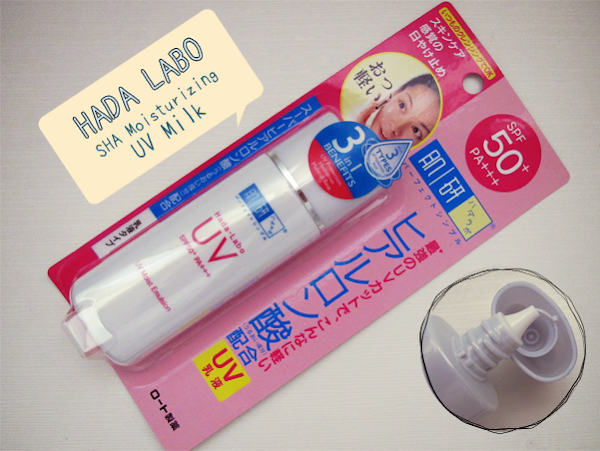 Hada Labo's Super Hyaluronic Acid Moisturizing UV Milk is exclusively available at Watsons for $19.90. RAMBLINGS: A (Boring) Internship Quickie. RAMBLINGS: The end is the beginning. RAMBLING: The I word (Part II). EVENT: The New Laneíge Boutique, Revealed! SPOTTED: Steam Cream's May babies! LOOKBOOK: Office Outfit No. 1!